Worried About Where to Sleep? Why not take your bed with you? 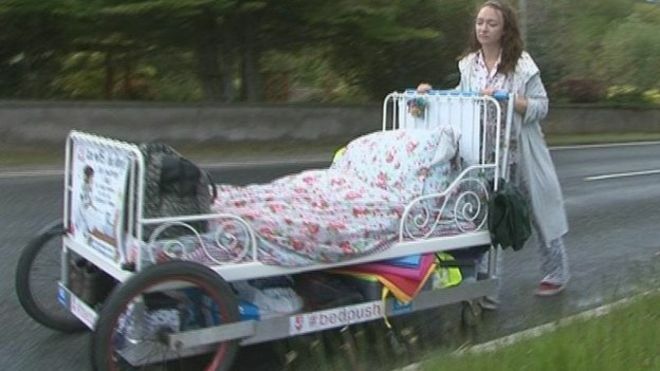 Rosie-Mai Iredale is pushing her bed from John O’Groats to Lands End, sleeping in it at night at camp sites and in people’s gardens. Dressed in pyjamas and a dressing gown, she started her challenge in late May and hopes to complete it by the end of August. I just hope she has a rain cover.